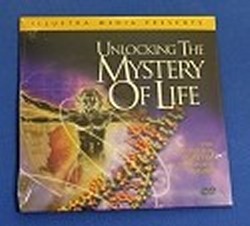 Unlocking the Mystery of Life DVD $6.00 with $100 purchase. Unlocking the Mystery of Life - Documentary (2006) This film looks into DNA and the mechanics of biology to answer the question: Is this by design or by accident? Watch this video and decide for yourself.